The commercial banking business has changed dramatically over the past 25 years, due in large part to technological change.1 Advances in telecommunications, information technology, and financial theory and practice have jointly transformed many of the relationship focused intermediaries of yesteryear into data-intensive risk management operations of today. Consistent with this, we now find many commercial banks embedded as part of global financial institutions that engage in a wide variety of financial activities. To be more specific, technological changes relating to telecommunications and data processing have spurred financial innovations that have altered bank products and services and production processes. For example, the ability to use applied statistics cost-effectively (via software and computing power) has markedly altered the process of financial intermediation. Retail loan applications are now routinely evaluated using credit scoring tools, rather than using human judgment. Such an approach makes underwriting much more transparent to third parties and hence facilitates secondary markets for retail credits (e.g., mortgages and credit card receivables) via securitization.2 Statistically based risk measurement tools are also used to measure and manage other types of credit risks – as well as interest rate risks – on an ongoing basis across entire portfolios. Indeed, tools like value-at-risk are even used to determine the appropriate allocation of risk-based capital for actively managed (trading) portfolios. This chapter will describe how technological change has spurred financial innovations that have driven the aforementioned changes in commercial banking over the past 25 years. In his respect, our survey is similar to that of Berger (2003).3 However, our analysis distinguishes itself by reviewing the literature on a larger number of new banking technologies and synthesizing these studies in the context of the broader economics literature on innovation. In this way, the chapter is more like our own previous survey of empirical studies of financial innovation (Frame and White, 2004). We note that this survey is U.S.-centric, owing to our own experiences, the fact that many financial innovations originate in the U.S., and that most studies of such innovations rely on U.S. data. Before proceeding, it will be helpful to understand better what is meant by financial innovation. 5.To find out the customer satisfaction level with the advancement of banking technology. Today’s world is service oriented in every sector. Those who are giving much more services rather than others are giving; he will be well ahead of competition because of getting better competitive advantages. There are 53 different banks working together in Bangladesh. The competition is going up day by day by giving better services and they are trying to develop their own services every now and then. Electronic banking is known to us since 1990. Electronic banking has got tremendous importance in banking sector and banking customer as well. This is why, the researcher find some interest to explore something regarding advancement of Technology in banking sector. The study has been done mainly based on primary and secondary sources of data or information. Secondary sources of data have been obtained through different web sites , books and related journals. The study covered 5 different Multinational, private commercial banks, which mainly situated in the capital city of Dhaka in Bangladesh. Some of the respondents were in the capital city of Dhaka. Data have been collected through a structured questionnaire. Primary has been collected from Dhaka based on some selected banks e.g United Commercial Bank, Dutch Bangla Bank. these banks are considered as the private commercial banks and foreign banks respectively. Primary data collections are done by the interviewing method with proper questionnaire. Secondary data has been collected from different publications, material and website as well as the books and material from different libraries , the hand note of the various seminar and research related to the issue are taken into account that includes the library of BIBM, BANBASE. Q1. What is the present (April, 2009) status of e-banking in Bangladesh? Q2. What are various forms of E-banking and Mobile banking available in Bangladesh? Q3. How much secure is the E-banking in Bangladesh? There has no plethora research work in Bangladesh perspective particularly. The study covered a very limited number of organizations and respondents as well. Some respondents were neither motivated nor interested in expressing their honest opinions. The scope of the study was also constrained by limited available self funding. Bangladesh banks are still reluctant to use full internet base banking activities. Compared to private and foreign banks, nationalized commercial banks are far behind implementing internet banking system in banking transactions. Nationalised commercial banks provide ATM services with very few branches and also the computerised branches are very small except the foreign commercial banking. But the bank who have adopted the latest technology with advent of internet and mobile , captured the notice and gained the satisfaction of the customer of all levels. This paper outlines the key internet banking trends and events in Bangladesh. Further, the research focuses on the issues that are related to internet banking and provides strategy and directions for the development of internet banking in Bangladesh. With the extensive technology innovation and telecommunication, we have seen new financial distribution channels increasing rapidly both in the numbers and form, from ATMs, telephone banking, PC banking to internet banking. (Earring Wood and Story, 1996). Developing alternative distribution channels is not only important in terms of reducing costs and improving competitiveness, but also in terms of financial institution’s ability to retain the existing customer case. (Kimball and Gregor, 1995) as well as to attract new customers. Sathye (1999) proposed a model for Internet Banking in Australia is significantly influenced by variables of system insecurity, case of use awareness of service and its benefits, reasonable price, availability of infrastructure and resistance to change. The transformation from traditional brick-and-mortar banking to E-Banking has been Automatic Teller Machine (ATM) and thus the retail banking industry witnessed significant and extensive change. Formally, E-banking comprises various formats or technologies, including telephone (both land line and cell phone banking, direct bill payment (EFT), and PC or internet banking (Power, 2000). Weitzman, (2000), Lassar, Manolits and Lassar, (2005), Ehou and Chou (2000) identified five basic services associated with online banking: view account balances, and transaction histories, paying bills, transferring funds between accounts, requesting credit card advance, and ordering checks. Majority of banks of banks is planning to introduce ICT for integration of banking service and new finance service, which will play a vital role in bringing efficiency in financial sector (Raihan, 2001). The most commonly factors are ease of use, transaction security, convenience and speediness (Wan, Luk and Chow, 2005). personal banking,(pc) virtual banking, on line banking, home Banking, remote electronic banking, and phone banking are the most frequently used designations, (Joris, Claessens, Valentine Dem et.al,2001),on line electronic banking system give every body the opportunity for easy access to their banking activities. These banking activities may include; retrieving an account balance, money transfers (Between a user’s accounts, from user’s account to someone else’s account) retrieving an accounting history. Some banks also allow services such as stock market transactions, and the submission of standardized accounting payment files for bank transfer, to third parties, As technology evolves, different kinds of electronic banking system emerge, each bringing a new dimension to the interaction between user and bank. The ATM is the first well-known system that was introduced to facilitate the access of the user to his banking activities, (M. Rahman, 2003), E-banking is a form of banking where funds are transferred through an exchange of electronic signals between financial institution, rather than exchange of cash, checks or other negotiable instruments common wealth bank of Australia, (2006) defined E- banking as “a range of banking services that utilizes electronic equipment”. Electronic equipments are ATM machine card (plastic), PIN, password, code or net code etc. With the extensive technology innovation and telecommunication. We have seen new financial distribution channels increasing rapidly both in the numbers and form, from ATM’s, telephone banking, PC banking to internet banking. A broad range of financial distribution channels must be available to deliver varying services needs of customers segments (Earring wood and story, 1996). Developing alternative distribution channels is not only important in terms of reducingcosts and improving competitiveness but also in terms of a financial institution’s ability to retain the existing customer case (Kimball and Gregor, 1995) as well as to future attract new customers. While the trend within the banking industry is to replace human tellers with self-servicedistribution channel’s. the strength of customer intentions for usage of human tellers within the next two years support the concept that the branch will still play an instrumental rate in the delivery of services to customers in the future. (Greenland,1995; Woodruff, 19*95; Thornton and White, 2000). Sathye (1999) proposed a model for Internet Banking Adoption, which argued that the Intention of Internet Banking in Australia is significantly influenced by variables of system insecurity, case of use awareness of service and its benefits, reasonable price, availability of infrastructure and resistance to charge. The Willis Report (1997 in Sathye, 1999) Stated that the technology must be reasonably priced relative to alternatives for customers to adopt. Otherwise the acceptance of the new technology may not be viable from customer’s stand point. Customers today are more conscious of the expenses associated with the banking as they are generally better informed about alternative option. The total costs incurred in using Internet Banking must be minimal or competitive (Joyawardhena and foley, 2000). Howard and Moore (1982) reported that consumers must be aware of the new brand before adoption. Therefore it is important factor that the boxes have to create awareness on internet banking to the consumers. Adoption means acceptance and continued use of a product, service and idea. Customers go through a process of knowledge, persuasion, decision and confirmation before they adopt the product or services. Offer the internet banking; the greater the awareness level among customers and therefore the higher will be internet banking adoption. Besides awareness, the service provided by the banks should be perceived to be innovative with high quality and user friendliness to meet an individual’s expectation. Cooper (1997) reported that case of use of innovation product or service as one of the three important characteristics for adoption from the customer’s perspective. This is related to user friendliness and ease of navigation as well as simple institutions to use the service. large banks and small niche ones (Dewan and Seismanm, 2002). Through the E-banking, smaller banks could compete by offering portals to the services offered by larger banks (Holland and Westwood, 2001) with this development, banks could use E-banking to focus an customer need in order to gain the strongest competitive advantage (Wind, 2001). The transformation from traditional brick-and-mortar banking to E-banking has been automatic teller machine (ATM) has the retail banking industry witnessed such significant and extensive change. Formally, E-banking comprises varies formats or technologies, including telephone (both landline and cell phone banking, direct bill payment (EFT), and PC or internet banking (Power, 2000); Weitzman, 2000; Lassar, Manolits and Lassar, (2005), Ehou and Chou (2000) identified five basic services associated with online banking: view account balances, and transaction histories; paying bills, transferring funds between accounts; requesting credit card advanced; and ordering checks. Majority of banks is planning to introduce ICT for integration of banking service and new finance service, which will play a vital role in bragging efficiency in the financial sector (Raihan, 2001). The most commonly factors are ease of use, transaction security, convenience and speediness (Wan, Luk and Chow, 2005). ICT networking has offered a wide range of delivering channel’s in retail banking. Banking institutions need to exploit opportunities that arise from these development and changes to remain competitive. The successful financial institutions in the future will be those that are able to leverage most from the information and communication technology revolution. Increasingly consumers are also demanding more efficient banking services are becoming more discrediting of the power that the technology brings. The winners will be those financial institutions that are able to harness on the Capability of ICT in making strategies decisions in terms of inability leader alignment of business, enhancing organizational capacity and capability, risk management and building better customer relationships CC the rapid pace of advancement. Online banking is a relatively new concept in Bangladesh. Like any new technology, along with the potential, it brings with it a rush of questions relating to its design, acceptability and potential risks. In the global banking scenario, cheques are passé now, and new methods of e-banking are widely welcomed. If Bangladesh’s banks are to stay within the competition, they will have to move fast and initiate efforts to build the foundations for a good e-banking system. In the system of e-banking, funds are transferred through an exchange of electronic signals between financial institutions, rather than exchange of cash, cheques or other negotiable instruments. With the expansion of global information and communication technology (ICT) infrastructure and internet, e-banking is set to play a pivotal role in the national economy. Newer modes of electronic transactions are being introduced rapidly, from ATMs, telephone banking, PC banking to internet banking. Developing alternative distribution channels is important in terms of reducing costs and improving competitiveness. It also increases the financial institutions’ ability to retain and expand their existing customer base. The common factors associated with e-banking are ease of use, transaction security, convenience and speed. Currently, online banking provides five basic services worldwide. It allows the users to view their account balance and transaction history, pay bills, transfer funds between accounts, request credit card advance and order cheques. Some banks also allow services such as stockmarket transactions, and the submission of standardised accounting payment files for bank transfer, to third parties. As technology evolves, different kinds of electronic banking system emerge, each bringing a new dimension to the interaction between the user and the bank. The ATM was the first well-known system that was introduced to facilitate the access of the user to his/her banking activities. Currently, the banks are considering online banking as a powerful “value added” tool to attract and retain new customers, while helping to eliminate costly paper handling and teller interactions in an increasingly competitive banking environment. E-banking is now a global phenomenon. Apart from the developed world, the developing countries are also experiencing strong growth in such transactions. The government’s emphasis on building a digital Bangladesh, setting up an ICT park, raising allocation for developing ICT infrastructure, waiving taxes on computer peripherals and other measures, including the automation program of the banking sector have brightened the prospects of e-banking. Bangladesh Railway owns a high-speed optical fibre network (1,800 km) parallel to the railway lines that cover most of the important parts of the country. This optical fibre network can be used as the backbone network of e-banking in Bangladesh. Some banks are already using this network for conducting online transactions, ATM and POS services. Proper software, infrastructure and manpower are important for the implementation of e-banking. Internet penetration is a key factor for the growth of e-banking. The takeoff phase of internet banking needs at least 30 percent internet usage among the population. Moreover, the government may provide subsidy for surfing cost, organise training and widen multiple access facilities like web, telephone, ATM, etc. Moreover, adequate legal framework and security are essential. Mobile banking is a prospective area for two reasons: it covers almost all activities involved in retail banking; and mobile phone network has already been spread all over the country covering more than 30 million people. Because of convenience, a sizeable share of the unbanked people can be brought under the network, especially in the rural areas. In this context, it is important to formulate relevant acts, policies, and adopt guidelines. Although e-banking has bright prospects, it involves financial risks as well. The major risks will come from operation (security risks, system design, implementation and maintenance risks), customers’ misuse of products and services, legal issues, strategy, reputation, credit, market and liquidity. The first banks were the merchants of ancient world that made loans to farmers and traders that carried goods between cities. The first records of such activity dates back to around 2000 BC in Assyria and Babylonia. Later in ancient Greece and during the Roman Empire lender based in temples would make loans but also added two important innovations that of accepted deposits and changing money. During this period there is similar evidence of the independent development of lending of money in ancient China and separately in ancient India. Banking in the modern sense of the word can be traced to medieval and early Renaissance Italy, to the rich cities in the north like Florence, Venice and Genoa. The Bardi and Peruzzi families dominated banking in 14th century Florence, establishing branches in many other parts of Europe. Perhaps the most famous Italian bank was the Medici bank, set up by Giovanni Medici in 1397 . The history of banking is closely related to the history of money but banking transactions probably predate the invention of money. Deposits initially consisted of grain and later other goods including cattle, agricultural implements, and eventually precious metals such as gold, in the form of easy-to-carry compressed plates. Temples and palaces were the safest places to store gold as they were constantly attended and well built. As sacred places, temples presented an extra deterrent to would-be thieves. Ancient Greece holds further evidence of banking. Greek temples, as well as private and civic entities, conducted financial transactions such as loans, deposits, currency exchange, and validation of coinage. There is evidence too of credit, whereby in return for a payment from a client, a moneylender in one Greek port would write a credit note for the client who could “cash” the note in another city, saving the client the danger of carting coinage with him on his journey. Pythius, who operated as a merchant banker throughout Asia Minor at the beginning of the 5th century BC, is the first individual banker of whom we have records. Many of the early bankers in Greek city-states were metics or foreign residents. Around 371 BC, Pasion, a slave, became the wealthiest and most famous Greek banker, gaining his freedom and Athenian citizenship in the process. The 4th century BC saw increased use of credit-based banking in the Mediterranean world. In Egypt, from early times, grain had been used as a form of money in addition to precious metals, and state granaries functioned as banks. When Egypt fell under the rule of a Greek dynasty, the Ptolemies (332-30 BC), the numerous scattered government granaries were transformed into a network of grain banks, centralized in Alexandria where the main accounts from all the state granary banks were recorded. This banking network functioned as a trade credit system in which payments were effected by transfer from one account to another without money passing. In the late 3rd century BC, the barren Aegean island of Delos, known for its magnificent harbor and famous temple of Apollo, became a prominent banking center. As in Egypt, cash transactions were replaced by real credit receipts and payments were made based on simple instructions with accounts kept for each client. With the defeat of its main rivals, Carthage and Corinth, by the Romans, the importance of Delos increased. Consequently it was natural that the bank of Delos should become the model most closely imitated by the banks of Rome. Ancient Rome perfected the administrative aspect of banking and saw greater regulation of financial institutions and financial practices. Charging interest on loans and paying interest on deposits became more highly developed and competitive. The development of Roman banks was limited, however, by the Roman preference for cash transactions. During the reign of the Roman emperor Gallienus (260-268 AD), there was a temporary breakdown of the Roman banking system after the banks rejected the flakes of copper produced by his mints. With the ascent of Christianity, banking became subject to additional restrictions, as the charging of interest was seen as immoral. After the fall of Rome banking temporarily ended in Europe and was not revived until the time of the crusades. In ancient India during the Maurya dynasty, an instrument called adesha was in use, which was an order on a banker desiring him to pay the money of the note to a third person, which corresponds to the definition of a bill of exchange as we understand it today. During the Buddhist period, there was considerable use of these instruments. Merchants in large towns gave letters of credit to one another. In ancient China starting in the Qin Dynasty (221 to 206 BC) the Chinese currency developed with the introduction of standardized coins which allowed the much easier trade across china and led to the development of letters of credit. These letters were issued by merchants that acted in ways that today we would understand as banks. Most early religious systems in the ancient Near East, and the secular codes arising from them, did not forbid usury. These societies regarded inanimate matter as alive, like plants, animals and people, and capable of reproducing itself. Hence if you lent ‘food money’, or monetary tokens of any kind, it was legitimate to charge interest. Food money in the shape of olives, dates, seeds or animals was lent out as early as c. 5000 BCE, if not earlier. Among the Mesopotamians, Hittites, Phoenicians and Egyptians, interest was legal and often fixed by the state. The Torah and later sections of the Hebrew Bible criticize interest-taking, but interpretations of the Biblical prohibition vary. One common understanding is that Jews are forbidden to charge interest upon loans made to other Jews, but obliged to charge interest on transactions with non-Jews, or Gentiles. However, the Hebrew Bible itself gives numerous examples where this provision was evaded. In Islam it is strictly prohibited to take interest; the Quran strictly prohibits lending money on Interest. “O you who have believed, do not consume usury, doubled and multiplied, but fear Allah that you may be successful” (3:130) “and Allah has permitted trade and has forbidden interest” (2:275). Riba (usury) is forbidden in Islamic economic jurisprudence fiqh. There are two types of riba discussed by Islamic jurists: an increase in capital without any services provided, which is prohibited by the Qur’an, and that prohibited in the Sunnah which comprises commodity exchanges in unequal quantities. Banking in the modern sense of the word can be traced to medieval and early Renaissance Italy, to the rich cities in the north such as Florence, Venice and Genoa. The original banks were “merchant banks” which were first invented in the Middle Ages by Italian grain merchants. As the Lombardy merchants and bankers grew in stature based on the strength of the Lombard plains cereal crops, many displaced Jews fleeing Spanish persecution were attracted to the trade. They brought with them ancient practices from the Middle and Far East silk routes. Originally intended for the finance of long trading journeys, these methods were applied to finance the production and trading of grain. The Jews could not hold land in Italy, so they entered the great trading piazzas and halls of Lombardy, alongside the local traders, and set up their benches to trade in crops. They had one great advantage over the locals. Christians were strictly forbidden the sin of usury, defined as lending at interest (Islam makes similar condemnations of usury). The Jewish newcomers, on the other hand, could lend to farmers against crops in the field, a high-risk loan at what would have been considered usurious rates by the Church; but the Jews were not subject to the Church’s dictates. In this way they could secure the grain-sale rights against the eventual harvest. They then began to advance payment against the future delivery of grain shipped to distant ports. In both cases they made their profit from the present discount against the future price. This two-handed trade was time-consuming and soon there arose a class of merchants who were trading grain debt instead of grain. The Jewish trader performed both financing (credit) and underwriting (insurance) functions. Financing took the form of a crop loan at the beginning of the growing season, which allowed a farmer to develop and manufacture (through seeding, growing, weeding, and harvesting) his annual crop. Underwriting in the form of a crop, or commodity, insurance guaranteed the delivery of the crop to its buyer, typically a merchant wholesaler. In addition, traders performed the merchant function by making arrangements to supply the buyer of the crop through alternative sources—grain stores or alternate markets, for instance—in the event of crop failure. He could also keep the farmer (or other commodity producer) in business during a drought or other crop failure, through the issuance of a crop (or commodity) insurance against the hazard of failure of his crop. Merchant banking progressed from financing trade on one’s own behalf to settling trades for others and then to holding deposits for settlement of “billette” or notes written by the people who were still brokering the actual grain. And so the merchant’s “benches” (bank is derived from the Italian for bench, banca, as in a counter) in the great grain markets became centers for holding money against a bill (billette, a note, a letter of formal exchange, later a bill of exchange and later still a cheque). A sensible manner of discounting interest to the depositors against what could be earned by employing their money in the trade of the bench soon developed; in short, selling an “interest” to them in a specific trade, thus overcoming the usury objection. Once again this merely developed what was an ancient method of financing long-distance transport of goods. Medieval trade fairs, such as the one in Hamburg, contributed to the growth of banking in a curious way: moneychangers issued documents redeemable at other fairs, in exchange for hard currency. These documents could be cashed at another fair in a different country or at a future fair in the same location. If redeemable at a future date, they would often be discounted by an amount comparable to a rate of interest. Eventually, these documents evolved into bills of exchange, which could be redeemed at any office of the issuing banker. These bills made it possible to transfer large sums of money without the complications of hauling large chests of gold and hiring armed guards to protect the gold from thieves. In 1156, in Genoa, occurred the earliest known foreign exchange contract. Two brothers borrowed 115 Genoese pounds and agreed to reimburse the bank’s agents in Constantinople the sum of 460 bezants one month after their arrival in that city. In the following century the use of such contracts grew rapidly, particularly since profits from time differences were seen as not infringing canon laws against usury. In the middle of the 13th century, groups of Italian Christians, particularly the Cahorsins and Lombards, invented legal fictions to get around the ban on Christian usury; for example, one method of effecting a loan with interest was to offer money without interest, but also require that the loan is insured against possible loss or injury, and/or delays in repayment (see contractum trinius). The Christians effecting these legal fictions became known as the pope’s usurers, and reduced the importance of the Jews to European monarchs; later, in the Middle Ages, a distinction was drawn between things which were consumable (such as food and fuel) and those which were not, with usury being permitted on loans involving the latter. The Bardi and Peruzzi families dominated banking in 14th century Florence, establishing branches in many other parts of Europe. Perhaps the most famous Italian bank was the Medici bank, set up by Giovanni Medici in 1397. Banca Monte dei Paschi di Siena SPA (MPS) Italy, is the oldest surviving bank in the world. Ironically, the Papal bankers were the most successful of the Western world, though often goods taken in pawn were substituted for interest in the institution termed the Monte di Pietà. Civil war in Florence between the rival Guelph and Ghibelline factions resulted in victory for a group of Guelph merchant families in the city. They took over papal banking monopolies from rivals in nearby Siena and became tax collectors for the Pope throughout Europe. In 1306, Philip IV expelled Jews from France. In 1307 Philip had the Knights Templar arrested and acquired their wealth, which had become to serve as the unofficial treasury of France. In 1311 he expelled Italian bankers and collected their outstanding credit. In 1327, Avignon had 43 branches of Italian banking houses. In 1347, Edward III of England defaulted on loans. Later there was the bankruptcy of the Peruzzi (1374) and Bardi (1353). The accompanying growth of Italian banking in France was the start of the Lombard moneychangers in Europe, who moved from city to city along the busy pilgrim routes important for trade. Key cities in this period were Cahors, the birthplace of Pope John XXII, and Figeac. After 1400, political forces turned against the methods of the Italian free enterprise bankers. In 1401, King Martin I of Aragon expelled them. In 1403, Henry IV of England prohibited them from taking profits in any way in his kingdom. In 1409, Flanders imprisoned and then expelled Genoese bankers. In 1410, all Italian merchants were expelled from Paris. In 1401, the Bank of Barcelona was founded. In 1407, the Bank of Saint George was founded in Genoa. This bank dominated business in the Mediterranean. In 1403 charging interest on loans was ruled legal in Florence despite the traditional Christian prohibition of usury. Italian banks such as the Lombards, who had agents in the main economic centers of Europe, had been making charges for loans. The lawyer and theologian Lorenzo di Antonio Ridolfi won a case which legalized interest payments by the Florentine government. In 1413, Giovanni di Bicci de’Medici was appointed banker to the pope. In 1440, Gutenberg invented the modern printing press although Europe already knew of the use of paper money in China. By the 1390s silver was in short supply all over Europe, except in Venice. The silver mines at Kutná Hora had begun to decline in the 1370s, and finally closed down after being sacked by King Sigismund in 1422. By 1450 almost all of the mints of northwest Europe had closed down for lack of silver. The last money-changer in the major French port of Dieppe went out of business in 1446. In 1455 the Turks overran the Serbian silver mines, and in 1460 captured the last Bosnian mine. As currency became scarce, several Venetian banks failed as did the Strozzi bank of Florence, the second largest in the city. The medieval Italian markets were disrupted by wars and and were limited by the fractured nature of the Italian states, so the next developments happened as banking practises spread throughout Europe during the renaissance period. Banking offices were usually located near centers of trade, 9and in the late 17th century, the largest centers for commerce were the ports of Amsterdam, London, and Hamburg. The next generation of bankers arose from migrant Jewish merchants in the great wheat-growing areas of Germany and Poland. Many of these merchants were from the same families who had been part of the development of the banking process in Italy. They also had links with family members who had, centuries before, fled Spain for both Italy and England. As non-agricultural wealth expanded, many families of goldsmiths (another business not prohibited to Jews) also gradually moved into banking. Halil İnalcik suggests that, in the sixteenth century, Marrano Jews fleeing from Iberia introduced the techniques of European capitalism, banking and even the mercantilist concept of state economy to the Ottoman empire. In the sixteenth century, the leading financiers in Istanbul were Greeks and Jews. Many of the Jewish financiers were Marranos who had fled from Iberia during the period leading up to the expulsion of Jews from Spain. Some of these families brought great fortunes with them. The most notable of the Jewish banking families in the sixteenth century Ottoman Empire was the Marrano banking house of Mendes which moved to and settled in Istanbul in 1552, under the protection of Sultan Suleyman the Magnificent. When Alvaro Mendes arrived in Istanbul in 1588, he is reported to have brought with him 85,000 gold ducats. The Mendès family soon acquired a dominating position in the state finances of the Ottoman Empire and in commerce with Europe. They thrived in Baghdad during the eighteenth and nineteenth centuries under Ottoman rule, performing critical commercial functions such as moneylending and banking. Like the Armenians, the Jews could engage in necessary commercial activities, such as moneylending and banking, that were proscribed for Moslems under Islamic law. Court Jews were Jewish bankers or businessmen who lent money and handled the finances of some of the Christian European noble houses, primarily in the seventeenth and eighteenth centuries. Court Jews were precursors to the modern financier or Secretary of the Treasury. Their jobs included raising revenues by tax farming, negotiating loans, master of the mint, creating new sources for revenue, negotiating loans, float ing debentures, devising new taxes. and supplying the military. In addition, the Court Jew acted as personal bankers for nobility: he raised money to cover the noble’s personal diplomacy and his extravagances. Court Jews were skilled administrators and businessmen who received privileges in return for their services. They were most commonly found in Germany, Holland, and Austria, but also in Denmark, England, Hungary, Italy, Poland, Lithuania, Portugal, and Spain. According to Dimont, virtually every duchy, principality, and palatinate in the Holy Roman Empire had a Court Jew. Examples of what would be later called court Jews emerged when local rulers used services of Jewish bankers for short-term loans. They lent money to nobles and in the process gained social influence. Noble patrons of court Jews employed them as financiers, suppliers, diplomats and trade delegates. Court Jews could use their family connections, and connections between each other, to provision their sponsors with, among other things, food, arms, ammunition and precious metals. In return for their services, court Jews gained social privileges, including up to noble status for themselves, and could live outside the Jewish ghettos. Some nobles wanted to keep their bankers in their own courts. And because they were under noble protection, they were exempted from rabbinical jurisdiction. One of the most notable families engaged in this activity was the Rothschild family that created the a banking empire that had branches all over Europe. A painting of the old town hall in Amsterdam where the bank was founded in 1609. In the early 1500s in the Dutch Republic in order to protect their large accumulations of cash, people began to depositing their money with “cashiers”. These cashiers held the money for a fee. Competition drove cashiers to offer additional services including paying out money to any person bearing a written order from a depositor to do so, this practise led to the development of cheques. In the 1600s One of the first measures of the revolutionary Dutch government after breaking away from Spain was “free” or “individual” coinage, where the state would coin any metal delivered to it at no or very small cost. Free coinage was an immediate success. As the seventeenth century began, the Dutch were the driving force behind European commerce. The coins, that had legal tender status were often worn and damaged, so it was not easy to exchange them. To do so, the Bank of Amsterdam (Amsterdamsche Wisselbank) was founded in 1609. Coins were taken in as deposits based not on the face value, but on the real value of their metal weight, with credits, known as bank money, issued against them. And so was created a perfectly uniform currency. This, along with the convenience and security of the new money – and the guarantee of the city of Amsterdam, caused the bank money to trade at an agio, or premium over coins. The Bank was at first a strictly deposit bank with 100 percent backing, but secretly allowed some depositors to overdraw their accounts as early as 1657 and later provided large loans to the Dutch East India Company and the Municipality of Amsterdam. By 1790 these loans became public and the premium on the bank money disappeared, by the end of that year the Bank virtually admitted insolvency by issuing a notice that silver would be sold to holders of bank money at a 10 percent discount. The City of Amsterdam took the Bank over, and eventually closed it for good in 1819. Throughout 17th century, precious metals from the New World, Japan and other locales have been channeled into Europe, with corresponding price increases. Thanks to the free coinage, the Bank of Amsterdam, and the heightened trade and commerce, Netherlands attracted even more coin and bullion. These concepts of Fractional-reserve banking and payment systems went on and spread to England and elsewhere. The London Royal Exchange was established in 1565. At that time moneychangers were already called bankers, though the term “bank” usually referred to their offices, and did not carry the meaning it does today. There was also a hierarchical order among professionals; at the top were the bankers who did business with heads of state, next were the city exchanges, and at the bottom were the pawn shops or “Lombard”‘s. Some European cities today have a Lombard street where the pawn shop was located. In the nineteenth century, spurred at first by financing required for the Napoleonic wars and then by the explosion of railroads in Europe, banks evolved into large commercial entities, lending to the public, and often publicly traded. Jews were founders and leaders of many of the important early European banks, as well as significant banks in the United States. Several Jewish bankers became extremely influential, successfully competing with non-Jewish banking houses in the floating of government loans. Rothschild family banking businesses pioneered international high finance during the industrialisation of Europe and were instrumental in supporting railway systems across the world and in complex government financing for projects such as the Suez Canal. The family bought up a large proportion of the property in Mayfair, London. Major businesses directly founded by Rothschild family capital include Alliance Assurance (1824) (now Royal & SunAlliance); Chemin de Fer du Nord (1845); Rio Tinto Group (1873); Société Le Nickel (1880) (now Eramet); and Imétal (1962) (now Imerys). The Rothschilds financed the founding of De Beers, as well as Cecil Rhodes on his expeditions in Africa and the creation of the colony of Rhodesia. From the late 1880s onwards, the family controlled the Rio Tinto mining company. The Japanese government approached the London and Paris families for funding during theRusso-Japanese War. The London consortium’s issue of Japanese war bonds would total £11.5 million (at 1907 currency rates). In the late 18th century there was a massive growth in the banking industry. Banks played a key role in moving from gold and silver based coinage to paper money, redeemable against the bank’s holdings. Within the new system of ownership and investment, the state’s role as an economic factor grew substantially. Crowd at New York’s American Union Bank during a bank run early in the Great Depression. During the Crash of 1929 preceding the Great Depression, margin requirements were only 10%. Brokerage firms, in other words, would lend $9 for every $1 an investor had deposited. When the market fell, brokers called in these loans, which could not be paid back. Banks began to fail as debtors defaulted on debt and depositors attempted to withdraw their deposits en masse, triggering multiple bank runs. Government guarantees and Federal Reserve banking regulations to prevent such panics were ineffective or not used. Bank failures led to the loss of billions of dollars in assets. Outstanding debts became heavier, because prices and incomes fell by 20–50% but the debts remained at the same dollar amount. After the panic of 1929, and during the first 10 months of 1930, 744 US banks failed. By April 1933, around $7 billion in deposits had been frozen in failed banks or those left unlicensed after the March Bank Holiday. Bank failures snowballed as desperate bankers called in loans which the borrowers did not have time or money to repay. With future profits looking poor, capital investment and construction slowed or completely ceased. In the face of bad loans and worsening future prospects, the surviving banks became even more conservative in their lending. Banks built up their capital reserves and made fewer loans, which intensified deflationary pressures. A vicious cycle developed and the downward spiral accelerated. In all, 9,000 banks failed during the 1930s. In response many countries significantly increase financial regulation. In the US the Securities and Exchange Commission was established in 1933 and the Glass–Steagall Act was passed which would separate investment banking and commercial banking. This was to try and avoid the more risky investment banking activities from causing bank failures for commercial banks ever again. During the post second world war period and with the introduction of the Bretton Woods system in 1944, two organizations were created: the International Monetary Fund (IMF) and the World Bank. Encouraged by these institutions, commercial banks started to lend to sovereign states in the third world. This was at the same time as inflation started to rise in the west. The Gold standard was eventually abandoned in 1971 and a number of of the banks were caught out and became bankrupt due to third world country debt defaults. This was also a time that saw an increasing use of technology to retail banking. In 1959 a standard for machine readable characters (MICR) was agreed and patented in the United States for use with cheques which led to the first automated reader/sorting machines. In the 1960 the first Automated Teller Machines (ATM) or Cash machines were developed and first machines started to appear by the end of the decade. Banks started to became heavy investors in computer technology to automate much of the manual processing which saw the start of a shift by banks having a large number of clerical staff in favor of new automated systems. By the 1970s the first payment systems started to be develop that would lead to both Electronic payment systems for domestic and international payments. The international SWIFT network was established in 1973 and domestic payment systems were developed around the world by banks working together with governments. Global banking and capital market services proliferated during the 1980s and 1990s as a result of a great increase in demand from companies, governments, and financial institutions, but also because financial market conditions were buoyant and, on the whole, bullish. Interest rates in the United States declined from about 15% for two-year U.S. Treasury notes to about 5% during the 20-year period, and financial assets grew then at a rate approximately twice the rate of the world economy. This period saw a significant internationalization of financial markets especially U.S. Foreign investments, particularly from Japan, who not only provided the funds to corporations in the U.S., but also helped finance the federal government; thus, transforming the U.S. stock market by far into the largest in the world. The dominance of U.S. financial markets was disappearing and there was an increasing interest in foreign stocks. The extraordinary growth of foreign financial markets results from both large increases in the pool of savings in foreign countries, such as Japan, and, especially, the deregulation of foreign financial markets, which enabled them to expand their activities. Thus, American corporations and banks started seeking investment opportunities abroad, prompting the development in the U.S. of mutual funds specializing in trading in foreign stock markets. Such growing internationalization and opportunity in financial services changed the competitive landscape, as now many banks would demonstrated a preference for the “universal banking” model prevalent in Europe. Universal banks are free to engage in all forms of financial services, make investments in client companies, and function as much as possible as a “one-stop” supplier of both retail and wholesale financial services. The consolidation was accomplished through acquisitions which grow in size over this period, and there were many of them. By the end of 2000, a year in which a record level of financial services transactions with a market value of $10.5 trillion occurred, the top ten banks commanded a market share of more than 80% and the top five, 55%. Of the top ten banks ranked by market share, seven were large universal-type banks (three American and four European), and the remaining three were large U.S. investment banks who between them accounted for a 33% market share. This growth and opportunity also led to an unexpected outcome: entrance into the market of other financial intermediaries: non-bank financial institution. Large corporate players were beginning to find their way into the financial service community, offering competition to established banks. The main services offered included insurances, pension, mutual, money market and hedge funds, loans and credits and securities. Indeed, by the end of 2001 the market capitalisation of the world’s 15 largest financial services providers included four non-banks. The process of financial innovation advanced enormously in the first decade of the 21 century increasing the importance and profitability of nonbank finance. Such profitability priorly restricted to the non-banking industry, has prompted the Office of the Comptroller of the Currency (OCC) to encourage banks to explore other financial instruments, diversifying banks’ business as well as improving banking economic health. Hence, as the distinct financial instruments are being explored and adopted by both the banking and non-banking industries, the distinction between different financial institutions is gradually vanishing. The first decade of the 21st century also saw the culmination of the technical innovation in banking over the previous 30 years and saw a major shift away from traditional bank branches to internet banking. The Late-2000s financial crisis caused significant stress on banks around the world. The failure of a large number of major banks resulted in government bail-outs. The collapse and fire sale of Bear Stearns to JP Morgan Chase in March 2008 and the collapse of Lehman Brothers in September that same year led to a credit crunch and global banking crises. In response governments around the world bailed-out, nationalised or arranged fire sales for a large number of major banks. Starting with the Irish government on the 29 September 2008, governments around the world even provide wholesale guarantees underwriting banks to avoid panic and systemic failure the whole banking system. These events spawned the term ‘too big to fail’ and resulted in a lot of discussion about moral hazard of these actions. • Florentine banking – The Medicis and Pittis among others. • 1100 – 1300 – Knights Templar run earliest Euro wide /Mideast banking. • 1542 – 1551 – The Great Debasement refers to the English Crown’s policy of coinage debasement during the reigns of Henry VIII and Edward VI. • 1602 – First joint-stock company, the Dutch East India Company founded. • 1602 – The Amsterdam Stock Exchange was established by the Dutch East India Company for dealings in its printed stocks and bonds. • 1609 – The Amsterdamsche Wisselbank (Amsterdam Exchange Bank) was founded. • 1690s – The Massachusetts Bay Colony was the first of the Thirteen Colonies to issue permanently circulating banknotes. • 1694 – The Bank of England was set up to supply money to the King. • 1695 – The Parliament of Scotland creates the Bank of Scotland. • 1717 – Master of the Royal Mint Sir Isaac Newton established a new mint ratio between silver and gold that had the effect of driving silver out of circulation (bimetalism)and putting Britain on a gold standard. • 1720 – The South Sea Bubble and John Law’s Mississippi Scheme, which caused a European financial crisis and forced many bankers out of business. • 1775 – The first building society, Ketley’s Building Society, was established in Birmingham, England. • 1781 – The Bank of North America was found by the Continental Congress. • 1791 – The First Bank of the United States was a bank chartered by the United States Congress. The charter was for 20 years. • 1800 – Rothschild family founds Euro wide banking. • 1816 – The Second Bank of the United States was chartered five years after the First Bank of the United States lost its charter. This charter was also for 20 years. The bank was created to finance the country in the aftermath of the War of 1812. • 1862 – To finance the American Civil War, the federal government under U.S. President Abraham Lincoln issued a legal tender paper money, the “greenbacks”. • 1874 – The Specie Payment Resumption Act provided for the redemption of United States paper currency (“greenbacks”), in gold, beginning in 1879. • 1913 – The Federal Reserve Act created the Federal Reserve System, the central banking system of the United States of America, and granted it the legal authority to issue legal tender. • 1930–33 – In the wake of the Wall Street Crash of 1929, 9,000 banks close, wiping out a third of the money supply in the United States. • 1933 – Executive Order 6102 signed by U.S. President Franklin D. Roosevelt forbid the hoarding of Gold Coin, Gold Bullion, and Gold Certificates by U.S. citizens, except for a small amount. This effectively ended the convertibility of dollars to gold for US citizens. • 1971 – The Nixon Shock was a series of economic measures taken by U.S. President Richard Nixon which canceled the direct convertibility of the United States dollar to gold by foreign nations. This essentially ended the existing Bretton Woods system of international financial exchange. • 1986 – The “Big Bang” (deregulation of London financial markets) served as a catalyst to reaffirm London’s position as a global centre of world banking. • 2007 – Start of the Late-2000s financial crisis that saw the a credit crunch that led to the failure and bail-out of a large number of the worlds biggest banks. • 2008 – Washington Mutual collapses. It was the largest bank failure in history. • In 70s-80’s, banks started technology investments for the branches. • The first step is offline branches. • Second step is online branches connected centrally. • Most of the transactions started to be performed in the central mainframe. • In the mid-1980s, banks accepted product based banking and competed with their products. Banks developed new products for their customers. In 1990s the use of Internet affected services and increased competition among banks. Since then banks are trying to offer convenient banking service to online customers, and to protect and secure their web sites. In 2000s the spread of wireless technology and the use of wireless devices became field of which banks can use to offer banking services. Therefore, mobile banking concept became a new opportunity, and customer started to use their cell phones. Accordingly, the new intermediaries such as electronic payment systems emerged to satisfy more customers. During recent years technology has become one of the key aspects for the organizations to deliver their services. Banks started giving importance to new technologies. The term “Technology” is not only machines or equipments. The term technology can be categorized into hard, hybrid and soft technologies. • Hard Technology: is a physical technology that replaces both manual labor and brainpower, usually termed as AUTOMATION. • Hybrid Technology: is a set of machines or equipments that manage and organize work or service processes more faster and more efficiently. • Soft Technology: is a technique or an organized way of doing things. Advances in technology have increased service delivery in recent years, with a tremendous impact on service support. Today, customers can choose among different varieties of technological options to perform banking services. At the same time, banks employ technology at various stages in the service delivery process and in service support operations to improve quality and productivity. 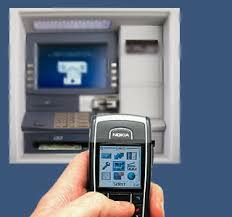 Advances in technology are many; some are ATMS, electronic banking, Internet banking, phone banking, home banking etc. The letter (e) stands for the word electronic. The word banking means a certain financial service with certain conditions presented by banks to their customers. Customers are either individuals or corporations. • The term e-banking is used to describe supplying banking services through electronic intermediaries or electronically based channels .These channels include World Wide Web (www), personal computer (PC), digital television set, telephone, mobile phone, automated teller machines (ATMs) and so on. • E-Banking the provision of information or services by a bank to its customers through computer, television, telephone or mobile. • E-Banking is an electronic connection between bank and customers in order to prepare, manage and control financial transactions. • E-Banking is an umbrella term for the process by which customer may perform banking transactions electronically without visiting a brick institution. Some people use the term online banking as a broad title to non-traditional banking, however, the term online is mainly used to describe people connected to the Internet. Therefore, it is more specific to use the term e-banking to encompass non-traditional banking rather than to use online banking. This is also applied to those who use the term Internet banking to mean e-banking, it should be noted that electronic banking is a bigger platform rather than just banking via Internet. 1. Virtual Banks: Organizations (banks) that conduct their business activities solely online. 2. Click-and-mortar (click and brick) Banks: Organizations (banks) that conduct some online activities but do their primary business in the physical world. 3. Brick-and-mortar Banks: Old-economy organizations (banks) that perform most of their business off-line. Fifty years ago, the Texas Bankers Record, predecessor to Texas Banking magazine, was touting such technological advances as mic3rofilmers to photograph checks and statements and electronic bank posting machines, described as a “behind-the-scenes revolution.” “In the relatively short span of a year, electronic bank methods have become a reality, and even greater strides lie ahead,” a representative of the National Cash Register Company predicted in 1958. Our November issue is traditionally devoted to trends and advances in banking technology. It’s one of our most popular issues, since banking technology is constantly evolving and changing the face of the banking industry. It’s hard to predict from one year to the next which technological breakthroughs will be developed and which ones will appeal to customers. The electronic posting machine is the latest and greatest technology advance of 1958. Lee Wetherington, a very popular speaker at TBA conferences – and slated to speak at next year’s convention – wrote our cover feature on “The Future of Banking.” Lee focuses on second generation Customer Relationship Management, social networking, remote deposit, debit card rewards and mobile banking. Lee believes banks that leverage technology will be rewarded with a prosperous future. Joe Gillen of Pinnacle Financial Strategies discusses one of the hottest banking technology offerings today – mobile banking, which is particularly appealing to the younger generation. But, Joe cautions, mobile banking isn’t for all banks, and he offers a list of five points banks should consider before offering this service. John Waupsh of First ROI wrote our article on “The New Face of Banking,” which discusses the importance of a well designed and easy-to-use Web site that offers exceptional e-commerce solutions. Those banks that dismiss the importance of the Internet will lose an important segment of their customer base – the younger generation, Joe writes. Finally, one of the unfortunate side effects of technology, such as online and mobile banking, is that it can lead to data breaches. Bill Morrow with CS Identity offers steps banks can take to help reduce the chance of a data breach and how to respond when one does happen. It’s hard to predict the direction technology will take in the coming years. I doubt the representative of the National Cash Register Company could have predicted that 50 years in his future, customers would be conducting their bank business on a device as small as the palm of their hands. The phone’s become a music player, an arcade, an e-mail device and a camera. So why not become a bank as well? That’s the latest trend for the ever-changing device. AT&T announced earlier this spring plans to launch a mobile banking service with several banks in the South. But Novato’s own ClairMail is also working it’s own magic trying to come up with an easy way to conduct banking transactions on your phone. The company announced this week it has inked a deal with the Bank of Stockton to offer mobile banking through text messaging. Here’s how it works: You set up an account on line and the verify your cell phone number with the bank using a PIN number. Then you can start sending text messages to your bank like “BAL” for balance. Within about three seconds, you get a return text message with your balance. You can send messages to transfer money from one account to another. You can also receive electronic bills sent as text alerts and then pay them right away through a quick text message. If you’re worried about security or overdrawing from your account, you can sign up for text alerts that warn you when there’s odd activity in your account or if you’re close to being overdrawn. The service also allows you to add another layer of security by requiring large transfers to get your personal approval via a separate phone call. ClairMail says its approach is better than solutions like AT&T’s because you don’t have to have a certain type of phone that can support the downloadable application required. You just need a phone that has text messaging, which is basically most every phone out there. Their sense is that people just want to get in and get out of their virtual bank and they think that text messaging is the best solution for that. The service for Bank of Stockton customers begins this summer and then should have a full launch in September. ClairMail plans to announce other deals with major banks in the coming months. Most services in the categories designated Accounting and Brokerage are transaction-based. The non-transaction-based services of an informational nature are however essential for conducting transactions – for instance, balance inquiries might be needed before committing a money remittance. The accounting and brokerage services are therefore offered invariably in combination with information services. Information services, on the other hand, may be offered as an independent module. A wide spectrum of Mobile/branchless banking models is evolving. However, no matter what business model, if mobile banking is being used to attract low-income populations in often rural locations, the business model will depend on banking agents, i.e., retail or postal outlets that process financial transactions on behalf telcos or banks. The banking agent is an important part of the mobile banking business model since customer care, service quality, and cash management will depend on them. Many telcos will work through their local airtime resellers. However, banks in Colombia, Brazil, Peru, and other markets use pharmacies, bakeries, etc. These models differ primarily on the question that who will establish the relationship (account opening, deposit taking, lending etc.) to the end customer, the Bank or the Non-Bank/Telecommunication Company (Telco). Another difference lies in the nature of agency agreement between bank and the Non-Bank. Models of branchless banking can be classified into three broad categories – Bank Focused, Bank-Led and Nonbank-Led. The bank-focused model emerges when a traditional bank uses non-traditional low-cost delivery channels to provide banking services to its existing customers. Examples range from use of automatic teller machines (ATMs) to internet banking or mobile phone banking to provide certain limited banking services to banks’ customers. This model is additive in nature and may be seen as a modest extension of conventional branch-based banking. The non-bank-led model is where a bank has a limited role in the day-to-day account management. Typically its role in this model is limited to safe-keeping of funds. Account management functions are conducted by a non-bank (e.g. telco) who has direct contact with individual customers. A specific sequence of SMS messages will enable the system to verify if the client has sufficient funds in his or her wallet and authorize a deposit or withdrawal transaction at the agent. When depositing money, the merchant receives cash and the system credits the client’s bank account or mobile wallet. In the same way the client can also withdraw money at the merchant: through exchanging sms to provide authorization, the merchant hands the client cash and debits the merchant’s account. Based on a survey conducted by Forrester, mobile banking will be attractive mainly to the younger, more “tech-savvy” customer segment. A third of mobile phone users say that they may consider performing some kind of financial transaction through their mobile phone. But most of the users are interested in performing basic transactions such as querying for account balance and making bill payment. There are some other electronic services like TV Banking, Mail Banking etc is practicing ignorable way. But banks are trying hard to develop new products which can be done through electronic device like internet, telephone including cellular and mechanical devices. Based on the ‘International Review of Business Research Papers’ from World business Institute, Australia, following are the key functional trends possible in world of Mobile Banking. With the advent of technology and increasing use of smartphone and tablet based devices, the use of Mobile Banking functionality would enable customer connect across entire customer life cycle much comprehensively than before. With this scenario, current mobile banking objectives of say building relationships, reducing cost, achieving new revenue stream will transform to enable new objectives targeting higher level goals such as building brand of the banking organization. Emerging technolgy and functionalities would enable to create new ways of lead generation, prospecting as well as developing deep customer relationship and mobile banking world would achieve superior customer experience with bi-directional communications. • Communication enrichment: – Video Interaction with agents, advisors. • Personalization of corporate banking services: – Personalization experience for multiple roles and hierarchies in corporate banking as against the vanilla based segment based enhancements in the current context. • Build Brand: – Built the bank’s brand while enhancing the “Mobile real estate”. There are a large number of different mobile phone devices and it is a big challenge for banks to offer mobile banking solution on any type of device. Some of these devices support Java ME and others support SIM Application Toolkit, a WAP browser, or only SMS. Initial interoperability issues however have been localized, with countries like India using portals like R-World to enable the limitations of low end java based phones, while focus on areas such as South Africa have defaulted to the USSD as a basis of communication achievable with any phone. On January 2009, Mobile Marketing Association (MMA) Banking Sub-Committee, chaired by CellTrust and VeriSign Inc., published the Mobile Banking Overview for financial institutions in which it discussed the advantages and disadvantages of Mobile Channel Platforms such as Short Message Services (SMS), Mobile Web, Mobile Client Applications, SMS with Mobile Web and Secure SMS. Security of financial transactions, being executed from some remote location and transmission of financial information over the air, are the most complicated challenges that need to be addressed jointly by mobile application developers, wireless network service providers and the banks’ IT departments. 1. Physical part of the hand-held device. If the bank is offering smart-card based security, the physical security of the device is more important. 2. Security of any thick-client application running on the device. In case the device is stolen, the hacker should require at least an ID/Password to access the application. 3. Authentication of the device with service provider before initiating a transaction. This would ensure that unauthorized devices are not connected to perform financial transactions. 4. User ID / Password authentication of bank’s customer. 5. Encryption of the data being transmitted over the air. 6. Encryption of the data that will be stored in device for later / off-line analysis by the customer. One-time password (OTPs) are the latest tool used by financial and banking service providers in the fight against cyber fraud . Instead of relying on traditional memorized passwords, OTPs are requested by consumers each time they want to perform transactions using the online or mobile banking interface. When the request is received the password is sent to the consumer’s phone via SMS. The password is expired once it has been used or once its scheduled life-cycle has expired. Due to the nature of the connectivity between bank and its customers, it would be impractical to expect customers to regularly visit banks or connect to a web site for regular upgrade of their mobile banking application. It will be expected that the mobile application itself check the upgrades and updates and download necessary patches (so called “Over The Air” updates). However, there could be many issues to implement this approach such as upgrade / synchronization of other dependent components. In Iran, banks such as Parsian, Tejarat, Mellat, Saderat, Sepah, Edbi, and Bankmelli offer the service. Banco Industrial provides the service in Guatemala. Citizens of Mexico can access mobile banking with Omnilife, Bancomer and MPower Venture. Kenya’s Safaricom (part of the Vodafone Group) has the M-Pesa Service, which is mainly used to transfer limited amounts of money, but increasingly used to pay utility bills as well. In 2009, Zain launched their own mobile money transfer business, known as ZAP, in Kenya and other African countries. In Somalia, the many telecom companies provide mobile banking, the most prominent being Hormuud Telecom and its ZAAD service. In a year of 2010, mobile banking users soared over 100 percent in Kenya, China, Brazil and USA with 200 percent, 150 percent, 110 percent and 100 percent respectively. Up to date Banking has unbelievable tools to encourage and give confidence to their customers. In the customers viewpoint, things is to be very easier that is why, they buy the product or take the service, which is newly incepted. Electronic banking is one that such product which helps the customer to prompt thinking and can able to get cash any time within the 24 hours day schedule in a day. Plasticor artificial card development would appear to lay with the smart card and in particular its use as an electronic purse. The smart card has been defined by Worthington (1998b, p. 137) as “a payment card that carries an embedded computer chip with memory and interactive capabilities, that allow it to exchange data at an electronic point of service (POS) terminal”. Smart card technology was developed over 35 years ago but its low acceptance into mainstr eam markets has been blamed upon a lack of supporting infrastructure and universally accepted standards. However, there is little doubt that smart cards have huge potential in terms of their application and recent evidence seems to show that predicted growth rates will continue as more application of smart card technology to electronic commerce is realized (McKechnie et al., 1998; 1999). The card may also contain personal information such as healthcare records; it can act as a security pass, and be used for specific payments, for example in meters, telephones and transport. While there are clearly consumer privacy and protection issues, the bundling of applications on to one card may offer advantages for consumers in the long run in that a multi-application card may be perceived as more useful than just an additional card. Worthington (1995) refers to cards used as electronic purses as “pay before cards” and suggests that they will challenge cash and low-value cheque transactions. Such cards should offer benefits to cardholders and retailers in terms of security, convenience and to issuers in reduced handling costs (Mckechnie et al., 1999). There are a number of such cards now in use, the best known in the UK being Mondex and Visa Cash. Consumers can load cash onto their card from their bank, an ATM machine or, if they have the appropriate equipment, over the telephone. 5.1 Manual Banking and its problem. Anything that is done by hand is called manual and the manual system in banks is also called traditional banking system. It is a process for containing the information of the customers by the banking staff with handwriting but not through computerized system. Opening an account, debit credit, withdrawal of amount, transactions and other utility bills are made in ledgers through hand-written without any automated system. For an account opening and issuing the bank statement before computerized system MCB staff had to do this process. A customer had to fill a form for opening an account and necessary payment were made to the bank cashier who gave the payment slip to the customer. After getting the payment receipt, customer had to the other staff for verification and entering his information in the ledger book. Customer received a cheque book and a pass book along with account number after book keeping his information. Whenever he wanted to deposit or withdraw his money he had to go to the branch and wait for his turn in a long queue and gave the cheque to the bank officer and got a token. The cheque was verified and sends to the desk of cashier for giving the cash to the concerned customer having the same other relevant token. The cashier announced the token number of that cheque and gave the cash to the customer. of account before coming of consumers next time. It all time consuming and boring to customer. Time is money and manual system takes a long time for the processing of customer‟s accounts information. Customers have to come to the concerned bank branch for any help related to banking services. Customers have to wait in long queues to get their turn. Percentage of human error is more than an expert system. It is difficult to keep the backup of all the ledgers in case of any mishap like burning. reduction and revenue enhancement, in second and third place respectively. Banks see Internet banking as a way to keep existing customers and attract new ones to the bank. National banks can deliver banking services on the Internet at transaction costs far lower than traditional brick-and-mortar branches. The actual costs to execute a transaction will vary depending on the delivery channel used. National banks have significant reasons to develop the technologies that will help them deliver banking products and services by the most cost-effective channels. An automated teller machine (ATM) is a computerized telecommunications device that provides a financial institution’s customers with a method of financial transactions in a public space without the need for a human clerk or bank teller. method to cash while making purchases. The amount of a transaction is typically displayed on a card reader, after which the customer swipes the card then enters their PIN number (an attendant must swipe gift cards at gas stations). There is usually a short delay while the EFTPOS (Electronic Funds Transfer at Point of Sale) terminal contacts the computer network (over a phone line or mobile connection) to verify’ and authorize the transaction. A credit card is a system of payment named after the small plastic card issued to users of the system. A credit card is different from a debit card in that it does not remove money from the user’s account after every transaction. In the case of credit cards, the issuer lends money to the consumer (or the user). It is also different from a charge card (though this name is sometimes used by the public to describe credit cards), which requires the balance to be paid in full each month. In contrast, a credit card allows the consumer to ‘revolve’ their balance, at the cost of having interest charged. POS is an abbreviation for point of sale (or point-of-sale, or point of service). This can mean a retail shop, a checkout counter in a shop, or a variable location where a transaction occurs in this type of environment. Additionally, point of sale sometimes refers to the electronic cash register system being used in an establishment. Point of sale systems are used in restaurants, hotels, stadiums, casinos, as well as retail environments in short, if something can be sold, it can be sold where a point of sale system is in use. period, a customer can adjust/rectify his account if any imbalance is found between his own records and the bank statement provided by bank. After the expiration of this stipulated period, the rejected checks are spoiled and the bank maintains a micro film copy for a period. At first, banks introduced Telephone Bill Payment (TBP) system so that customers could be able to do their banking activities from their home. The next version of home banking was Video Home Banking (VHB). The internet is expected to be a major factor in home banking. transactions. ACH processes large volumes of both credit and debit transactions which are originated in batches. ACH credit transfers include direct-deposit payroll payments and payments to contractors and vendors. ACH debit transfers include consumer payments on insurance premiums, mortgage loans, and other kinds of bills. Businesses are also increasingly using ACH to collect from customers’ online, rather than accepting credit or debit cards. The Automated Clearing House (ACH) is an electronic network for financial transactions. ACH processes large volumes of both credit and debit transactions which are originated in batches. Other retail and fiduciary products and services may include Balance inquiry, Funds transfer, Downloading transaction information, Bill presentment and payment, Loan application, Investment activity and other value-added services. Guards against eavesdropping. Encryption is the scrambling of information for transmission back and forth between two points. When we send out a letter to our friend, we communicate in a language that both of us understand. Since, our language is understood by thousands of other people also, if someone else gets hold of our letter, he will not have any problem in understanding its contents. Encryption refers to the encoding of information that a user sends over the Internet. If an unauthorized party tries to read that, it would be impossible for them to read it. Decryption is reverse technique of Encryption. After receiving encrypted data it is converted to original data. Secure Socket Layer (SSL) provides sound privacy protection by encrypting the channel of communication between server and the customer. Using a mathematical formula, SSL puts the information into a complex code. Even if information is intercepted, that would be extremely difficult to read. So SSL’s only role is to encrypt or decrypt message. This protocol fully encrypts all the information in both the HTTP request and HTTP response, including the URL the client is requesting any submitted from contents (e.g. credit card number, debit card number), any HTTP access authorization information (user names, password) and all the data returned from the server to the customer. Guards against impersonation. However, these effects protect our data only during transmission, That is, network security protocols do not protect our data before we send it. Just as we trust merchants not to share our credit card information, we must trust the recipients of our on-line data not to mishandle it. E-banking at per international standard is yet to develop in Bangladesh. At present, several private commercial banks (PCBs) and foreign commercial banks (FCBs) offer limited services of tele banking, internet banking, and online banking facilities working within the branches of individual bank in a closed network environment. As a part of stepping towards e-banking, the FCBs have played the pioneering role with adoption of modern technology in retail banking during the early 1990s whereas the state-owned commercial banks (SCBs) and PCBs came forward with such services in a limited scale during the late 1990s. Moreover, the banking industry as a whole, except for the four specialized banks (SBs), rushed to offer technology based banking services during the middle of the current decade. The existing form of e-banking that satisfies customer demand in banking activities electronically throughout the world are PC banking or PC home banking that include online banking, internet banking, mobile banking, and tele banking. PC banking or PC home banking: PC banking refers to use of personal computer in banking activities while under PC home banking customers use their personal computers at home or locations outside bank branches to access accounts for transactions by subscribing to and dialing into the banks’ Internet proprietary software system using password. PC banking or PC home banking may be categorized into two types such as online banking and Internet banking. Online banking: Transactions in online banking are performed within closed network for which the customer use specialized software provided by the respective bank. International standard online banking facilities are expanding in Bangladesh. At present, 29 scheduled banks offer any branch banking facilities through their respective bank online network that provides facilities like transaction through any branch under the respective bank online network; payment against pay order or pay order encashment, demand draft encashment, opening or redemption of FDR from any branch of the same bank; remote fund transfer, cash withdrawal, cash deposit, account statement, clearing and balance enquiry within branches of the same bank; and L/C opening, loan repayment facility to and from any branch of respective bank under its own online network. Inter-bank transactions or transaction between inter bank branches are yet to expand. Under the modernization program of the National Payment and Settlement System, Bangladesh Automated Clearing House (which includes Bangladesh Automated Cheaque Processing System and Bangladesh Electronic Fund Transfer Network) is scheduled to come into effect from September 2009 followed by implementation of online banking at per international standard in near future. fund transfer among accounts of the same customer, opening or modifying term deposit account, cheque book or pay order request, exchange rate or interest rate enquiry, bills payment, account summary, account details, account activity, standing instructions, loan repayment, loan information, statement request, ,cheque status enquiry, stop payment cheque, refill prepaid card, password change, L/C application, bank guarantee application, lost card (debit/credit) reporting, pay credit card dues, view credit card statement, or check balance. The core banking activities like fund transfer to third party, cross border transactions and so on are still uncovered by internet banking offered by the scheduled banks in Bangladesh. Tele banking: Tele banking refers to the services provided through phone that requires the customers to dial a particular telephone number to have access to an account which provides several options of services. Despite huge potential, tele banking services have not been widened enough in daily banking activities in Bangladesh. Only four banks so far provide a few options of tele banking services such as detail account information, balance inquiry, information about products or services, ATM card activation, cheque book related service, bills payment, credit card service and so on. Funds transfer between current, savings and credit card account, stock exchange transactions etc are still inaccessible through tele banking in Bangladesh. It is imperative for the Bangladeshi commercial banks to embrace the latest technological changes in offering banking services. More and more banks are now using different software to do their banking operations (Table 1), which has established the arguments in favor of using technology. Many Bangladeshi commercial banks initially started with some locally produced banking software and at present many of them are now upgrading the previously obtained software. However, some of them started with the advanced foreign software. These software enable the banks to perform their banking operations more smoothly than that of past with more customer orientation and flexibility. It is evident from Table 1 that the banking sector of Bangladesh has recognized the necessity of introducing new technology in this arena. Bangladeshi commercial banks are implementing the online banking gradually, though it can not be said it is real time online banking. In this case the private commercial banks are playing the pioneering role. Through the existing system of online banking the branches are linked together with one another which facilitate smooth coordination among the branches and also with the head office. In Bangladesh, except very few banks, online banking is limited to the extent – any branch banking, which enables a customer to operate his/her account in any of the branch if he/she has a account in respective bank. It enhances the mobility of account transaction. Few Bangladeshi banks are now introducing real time online banking and Internet banking. It is basically in true sense the online banking, which is practiced in much developed banking system. The Bangladeshi commercial banks, which are introducing the real time online banking, have made a breakthrough in traditional online banking. They interpret this paradigm shift in terms of benefits such as centralized system, EOD at data center, centralized MIS, improved control reports, anywhere 24 hours x 7 days banking, internet banking, tele-banking, and ATM/POS, one stop shop for all banking needs, sophisticated customer information, online inter-branch transfer, any branch pay order system, digital signature/photo image while transacting, display customer balance-transaction-statement online, automatic Sweep in and out, bill payment (utility service bill, tuition fees, mobile phone bills), etc. Therefore, from the introduction of real time online banking the customers of those banks will be able to enjoy the high quality customer oriented banking service. Besides the PCBs, Foreign Commercial Banks (FCBs) operating in Bangladesh are offering world class banking services using the improved banking technologies since their operation started in this country. • IT has been declared as a thrust sector. • Quick implementation of the recommendations of JRC reports (a high powered committee for software export). • Waiving all taxes and duties from import of computer hardware and software. • Hundred percent remittances of profit and capital gains for foreign investors without any approval. • BTTB’s implementation of Digital Data Network (DDN) service. e-Banking facilitates instant access to account information, maintain control over the finances, saving time, avoiding trips and phone calls to the bank. It enables account access that isn’t limited to a specific PC and usages of money management software like Quicken and Microsoft Money. Time of writing and clearing out bills, buying stamps, writing checks, and writing addresses on envelops every month could be saved. E-banking takes just minutes to setup an on-line bill payment; and bills are paid directly from bank checking account. Further, setting up of future bill payments, or scheduling of monthly payments could be made. It has only to be ordered whom to pay, how much to pay, and when to pay; and the bank take care of the rest. After the implementation of WTO treaty in 2005 many banks across the globe have come with new solutions with minimum possible banking expenditure. At present most of the banks in Bangladesh are using electronic banking services in this and other forms. Nevertheless, the banks can be profitable if they use e-banking. Local and foreign private banks operating in Bangladesh are the pioneers to introduce the electronic banking facilities in the country. Among the indigenous banks, the private banks are ahead of the public banks. BRAC Bank, Dutch-Bangla Bank, Prime bank, Premier Bank, Islami Bank, Eastern Bank, Mercantile Bank, and Dhaka Bank are some of the banks marching towards ebanking. Among the four Nationalized Commercial Banks (NCBs), Janata bank has some access to the electronic banking facilities. Bangladesh Bank, the Central Bank of Bangladesh, is also trying to formulate the structure of electronic banking facilities. The e-banking services provided by the banks in Bangladesh could be divided in three groups: ATM Services, Internet Banking (iBanking), and SMS Banking. The scopes of these services are vast, but the banks in Bangladesh do not provide all of these services. Some of the banks provide these or other services and charge fees for ATM transaction, SMS and iBanking while the western banks inspire clients to do ATM banking without fee or a minimum fee to reduce banking expense. Dutch-Bangla Bank Limited (DBBL) was the first bank in Bangladesh to introduce ATM and e-banking in 2003, and further additions and features are continuously being added and upgraded. DBBL has adopted the same exact automation solution used by international banking giants (DBBL Annual Report, 2009). A DBBL client has unlimited access to banking from any DBBL branch, ATM and Point of Sale (POS). ATM access to all DBBL clients is unlimited and free of cost. All of these services are affordable for everyone. With 800 ATMs nationwide DBBL has thelargest ATM network in Bangladesh which gives its clients full access to ‘anytime anywhere’ banking. All international and many local banks use the ATM network of DBBL for their clients. However, if aclient of a member bank uses a DBBL ATM, the member bank may add a transaction charge to its client. DBBL has an off-site Data Recovery Site (DRS) which ensures that customer records are safe, backed-up, and up to date in the event of a major catastrophe at the Electronic- Banking Division headquarters. Since 2004, DBBL has introduced mobile and SMS banking. With a mobile phone, customers can perform many banking operations. DBBL is a primary license holder for both VISA and Mastercard. It is authorized to issue and accept payments from both organizations. DBBL offers also Visa and Mastercard Debit Cards. It does also Internet and SMS Banking and provides other services. DBBL has established drawing arrangement network with banks located in the important countries of the world namely in the United Arab Emirates, State of Kuwait, State of Qatar, State of Bahrain, Italy, Canada and United States of America. Bangladeshi Wage Earners can send their money with confidence, safety and speed to their respective beneficiaries in Bangladesh in shortest possible time. DBBL has set up a representation agreement with Western Union Financial Services Inc, USA, which is are liable international money transfer company. Using the service of DBBL, Bangladeshi Wage Earners can send and receive money quickly from over 225,000 Western Union Agent located in 197 countries and territories world wide only by visiting any branches of Dutch- Bangla Bank Limited in Bangladesh. DBBL offers banking facilities through a wide range of mobile phones. Customer using HTML browser has access to the internet banking facilities of DBBL. Premier Bank has set up Wide Area Network using Radio, Fibre-Optics & other communication systems to provide branch banking to its customers (Premier Bank Annual Report, 2009). Customer of one branch is now able to deposit and withdraw money at any of the branches. All Branches are included in the Wide Area Network. So, no TT/DD or cash carrying is necessary. Premier Bank has been giving SMS Banking Service since 2006. The customers of Premier Bank can have information about banking transactions and inquiries through SMS Banking. They can check their balance, stop a cheque payment, or get statements. Its SMS Banking provides the customers with real time account information by using mobile phones and instruction capabilities from the mobile phones at ‘anywhere, anytime, anyhow’. The service is available round the clock seven days a week. Premier Bank SMS banking service is free for customers. Prime Bank Limited provides Internet Banking with a secure connection of the client’s access to the accounts 24 hours a day, 7 days a week from any Internet connection (Prime Bank Annual Report, 2009). It provides the opportunity to verify account balances, transfer funds, and pay loans, every time when the customers log on to their on-line account. The customers can monitor account activity, get real-time account balance, and transfer funds at convenience. Prime bank’s Internet Banking requires no special software; it is available through its website. Account access isn’t limited to a specific PC with special software installed and data stored. Anywhere the customers have access to the Internet, have access to their Prime bank accounts. Primebank’s Internet Banking lets the customers download their latest on-line account information. Primebank’s Internet Banking gives opportunity of bill paying for its customers through Primebank’s Bill Payer program. Islami Bank Bangladesh Limited (IBBL) provides different services of e-banking to its customers (Islami Bank Annual Report, 2009). It has introduced ATM, SMS banking and Internet banking. For SMS banking registration is required. Under SMS banking of IBBL customers get different services. SMS and iBanking facilities, however, are applicable only for online branches. The contract could be terminated by either side giving 30 days’ prior notice. The Internet Based Banking of IBBL is called iBanking which has been introduced since 2009. IFIC Bank issues VISA Credit Cards for both local and international use (IFIC Bank Annual Report, 2009). The Local Cards can be used at any ATM displaying VISA Logo for withdrawal of cash and for purchase of goods & services at any POS displaying VISA Logo within Bangladesh. The International Cards, on the other hand, can be used at any ATM and POS displaying VISA logo anywhere in the world. International credit card of IFIC Bank is a dual currency card and could be used at home& abroad. IFIC credit cardholders can enjoy 20 to 50 days interest free period depending on the date of transaction and the date of statement generation. IFIC Bank Limited provides also opportunity for SMS Banking Card Services to its clients. Under Card Services the clients of IFIC can have Push /Pull Services. All Account & Card Holder of IFIC Bank are eligible to apply for SMS Banking and Card Services. Foreign banks through successful use of a global network have increased the timeliness and accuracy of information, benefiting its customers, employees and also management. A broad spectrum of E-banking services, a subset of electronic finance, is available in Bangladesh with different degree of penetration. Eastern Bank Limited Internet banking application addresses the needs of small, individual and corporate account holders of the bank. This application provides a comprehensive range of banking services that enable the customer to meet most of their banking requirements over the net. The transactions that are supported by the internet banking provided by Eastern Bank Limited are Account operations and Inquiries, Fund Transfers and Payments, Utility Bill Payments, Deposits, Loans, Session Summary etc. has centralized Database with online ATM, SMS and Internet query service. Bank Asia has 21 ATMs as a member of ETN along with eleven other banks. Bank Asia is maintaining its competitiveness by leveraging on its Online Banking Software and modern IT infrastructure. It is the pioneer amongst the local banks in introducing innovative products like SMS banking, and under the ATM Network the Stellar Online Banking software enables direct linking of a client’s account, without the requirement for a separate account. BRAC Bank deployed a layer of security system for its Internet Banking. These measures extend from data encryption to firewalls. BRAC Bank uses the most advanced commercially available Secure Socket Layer (SSL) encryption technology to ensure that the information exchange between the customer’s Computer and BRACBank.com over the internet is secure and cannot be accessed by any third party. SSL has been universally accepted on the World Wide Web for authenticated and encrypted communication between customers’ computers and servers. provide proficient banking services to its customers. Business Banking Account enables a person to receive credit of all the cash or cheque deposits along with inward remittance and make all local payments and provide access to the wide range of services for the business requirements. With Easy Pay Machines both HSBC and Non-HSBC customers can make deposits and pay their utility bills, credit card payments and etc. with the provision of reporting features or other special functions. Electronic banking idea developed in Bangladesh since 1992 through several multinational banks. But most of the local and foreign banks are maintained electronic banking in their all branches. Here the researcher fined some common features of electronic banking in Bangladesh. 8. Deposit or Mail cash or cheque(s) (Cross cheque) through mechanical device. 10. Cash deposit which will originally deposit very next day of deposit that means do not need to go to the branch for every occasion. An advanced payment system which enables consumers to use an ATM Card to pay for goods and services, electronically debiting the cardholders account and crediting the account of the merchant. Home banking frees customers of visiting branches and most transactions will be automated to enable them to check their account activities transfer fund and to open L/C sitting in their own desk with the help of a PC and a telephone. For example: HSBC is giving Hexagon facilities to their individual and corporate customer. Full abbreviation of ATM is “Automated Teller Machine” which acts like a teller point in a bank who takes and gives money over the counter. ATM is same as teller point but it run automatically through identity like card and password. It does not need any slip or Cheque but it is very much based on A/C holder’s ATM card and it’s Password. Those who are entitled for ATM card, bank has provided them a password against every single card. This is like a debit card. People can deposit their money in a bank account and they have entitled withdraw their money through ATM card, which is applicable for 24 hours a day and 365 days in a year. It has different name such as ATM, 24 hours banking card, money link card, e-cash, ready cash etc. In Bangladesh, some multinationals incepted the ATM booth in Dhaka since 1992-93. The Grind lays Bank was the pioneer in Bangladesh then after Standard Chartered Bank, American express Bank, HSBC, Bank Asia and seven others local private banks are the followers. Tele-Banking permit customers to get access into their respective banking information 24 hours a day. Subscribers can update themselves by making a phone call. They can transfer any amount of deposit to other accounts irrespective of location either from home or office. It is a mechanical device which can accepted utilities bill like land phone bills, cell phone bills, Gas bills, WASA-DESA bills etc. The day after tomorrow bank will report to the particular authority to give acknowledgement on behalf of their customer. Mobile banking is (also known as M-Banking, mbanking, SMS Banking) is a term used for performing balance checks, account transactions, payments, credit applications and other banking transactions through a mobile device such as a mobile phoneor Personal Digital Assistant (PDA). The earliest mobile banking services were offered over SMS. With the introduction of the first primitive smart phones with WAP support enabling the use of the mobile web in 1999, the first European banks started to offer mobile banking on this platform to their customers. Mobile banking has until recently (2010) most often been performed via SMS or the Mobile Web. Apple’s initial success with iPhone and the rapid growth of phones based on Google’s Android (operating system) have led to increasing use of special client programs, called apps, downloaded to the mobile device. internet services in solving banking problems. Most of the banks are offering only accounting information online. Actual fund transfer and fund disbursement is not possible in all the banks that are offering internet services. So this product will enjoy the benefit of a first mover. lower down the overhead costs and make more profit out of it. Internet banking will require less manual workers. Again the customers will be able to save time as well as money for their transaction needs. of the individual who is initiating the transaction. In Bangladesh, the identification of an individual is not yet supported digitally. So there will be a problem in moving to the Internet era for banking purposes just now. First we will have to develop a digital database of the users of the internet banking services. infrastructure of our country is not that much supportive to provide all time access to the web. So there will be a problem in executing the service with its full functionality. to internet banking will allow the banks to offer non-branch banking facilities. offered through the internet will be widely accepted in the near future. money with their hand. They actually don’t believe in virtual money transfer. In the field of IT new technology is coming everyday. The one which is very popular today might get obsolete tomorrow. So to have a competitive edge over the competitors the banks must always update their services. Despite the presence of online Internet service in Bangladesh, its scope is largely underutilized. The reasons include high service charges, lack of awareness, poor telecommunication systems, government policy, low buying power of potential clients, and lack of institutional support. The main benefit of internet banking is the amount of time (thus money) it saves. Although Internet banking is restricted to managing accounts and making on-line transactions, it cuts out much of the need to personally visit the bank. Using Internet banking will also increase the efficiency of paying money (bills, debts, wages, etc) as it can reduce the need for writing and sending cheques (which can take up to 5 days to clear). Wages and Salary payments can be created via internet banking to pay such money, which is also an efficient way of paying staff wages. On-line banks are able to offer their customers higher interest rates than high street banks due to their reduced overheads. If the popularity of Internet banking takes off as predicted the banks may also be capable of offering their Internet banking customers higher interest rates (due to reduced overheads or as and incentive). Though Internet banking will require a higher initial investment, the operating expenses will be much lower. Again customers will be satisfied through fast, accurate, easy-to-use, comprehensive delivery of the services. So internet banking will be much more beneficial to banks as well as customers. Challenges of e-banking in Bangladesh Generally it is believed that banks in Bangladesh are facing different problems adopting e-banking. Inefficiency and lack of adequate knowledge of the top management of the last generation about e–banking may have to be put at the first place. The top management set the way for future development. For the change they must have understood its significance and prospect. Only so, proper strategic plan could be done, appropriate adjustment with changing national and international business and technological environment could be made, the coming challenges from the national and international competition successfully faced, and the market share retained and gained. The lack of communication channel and technological and technical infrastructure support may be seen as the second crucial challenges of e-banking in Bangladesh. It is not enough that there are enough communication channels, but they must be efficient, competitive, competent, cost effective and supportive to the services. In the millennium of ICT every nation has to think global, so worldwide efficient networking and WAP have to be ensured. Ensuring mature technology is also very important for successful introduction of the e-banking which includes adequate software. Modern technology is available but frequently very costly, but the countries like Bangladesh have other decisive comparative advantages that could be used to compensate the cost of the modern technology. E-banking is now a global phenomenon. Apart from the developed countries, the developing countries are experiencing strong growth in e-banking. The Bank of Thailand has created an industry payment body to involve other stakeholders, in particular from commercial banks which take leading responsibility for the development of e-payment system and technologies. Internet banking in Korea has increased at a rapid pace. Korea is also leading in online brokerage and mobile banking. In Southeast Asia, internet banking is also developing rapidly in Thailand, Malaysia, and Singapore and to a lesser extent in Philippines (Mia et. al. 2007). In Nepal, ATMs are the most popular electronic delivery channel for banking services but only a few customers are using internet banking facilities. Among others, Nepal’s commercial banks have adopted credit card, tele-banking, and SMS-banking. The government’s emphasis on building a digital Bangladesh, setting up ICT park, raising allocation for developing ICT infrastructure, waiving taxes on computer peripherals and other measures including the automation program of banking sector led by the Bangladesh Bank and competition among the scheduled banks in improving customer services have accelerated the prospects of e-banking in Bangladesh. The Bangladesh Railway owns a high-speed optical fiber network (1,800 km) parallel to the railway path that covers most of the important parts of Bangladesh. This optical fiber network can be used as the backbone network of e-banking in Bangladesh. For example, mobile phone operators such as Grameen Phone and Ranks ITT of Bangladesh use this optical fiber network through which they reach even in rural areas with their services (Islam 2005). It is encouraging that some of the FCBs and PCBs are already using this optical fiber network for conducting online transactions, ATM and POS services. payment and settlement system. It is expected that the BACH including BACPS and BEFTN would start functioning from September 2009 followed by the development of inter-bank online network. The project plans to go for real time gross settlement (RTGS) by 2012. It has been made mandatory for all head offices of the scheduled banks to be connected with Bangladesh Bank for satisfying BACH and BEFTN. These efforts would allow the scheduled banks to be connected to each other for conducting inter-bank online transactions in near future and this would smoothen the introduction of e banking in Bangladesh. Internet services came to Bangladesh with connectivity in 1996. Digital telephone exchanges have been established in 389 upazilas and 17 growth centres. Work is underway to cover the rest of the upazilas under digital exchange system. Meanwhile, Bangladesh has joined the information super-highway by connecting itself with international submarine cable system in 2006. A total of 159 Internet Service Providers (ISPs) have now been connected with this system of which 64 are actively providing services. Internet connection is slow with bandwidth range 32 kbps to 56 kbps for dial up and 64 kbps to 8 mbps for broadband. The establishment of internet exchange is under implementation. Encryption laws to accept electronic authentication of transactions has been enacted in 2006 and Voice over Internet Protocol (VoIP) has been legalized. Under this scenario, as a part of government decision of building digital Bangladesh, the existing capabilities of ICT sector is likely to increase rapidly in bringing all upazilas under internet services and this will contribute in widening the scope of e-banking throughout the country. December 2006, the average for all bank branches was 37 percent since only 4 percent and 16 percent of SBs and SCBs respectively were computerized. Out of a total of 6,565 branches in 2006, 2,426 were computerized of which 651 branches of 22 PCBs and 7 FCBs together were providing any-branch-banking facility under respective bank online network. During the period, the number of ATM booths and POS terminals stood at 478 and 4,647 respectively covering important merchant outlets in six divisional cities and some other important district towns in Bangladesh while 43 banks became the member of SWIFT and 25 banks adopted router connection.4 Since about 50 percent of total bank branches belong to SCBs spread throughout the country including the rural areas, ICT penetration is crucial for this category of banks. The recent corporatisation of the NCBs, would influence the banks in this category to be competitive through improving their service quality incorporating the use of modern technology. Although all these are positive developments, more attention is needed to enhance ICT capabilities of the banking system especially the SCBs for successful implementation of e-banking all over the country. Although e-banking has bright prospects, it involves some financial risks as well. The major rise of e-banking includes operational risks (e.g. security risks, system design, implementation and maintenance risks); customer misuse of products and services risks; legal risks (e.g. without proper legal support, money laundering may be influenced); strategic risks; reputation risks (e.g. in case the bank fails to provide secure and trouble free e-banking services, this will cause reputation risk); credit risks; market risks; and liquidity risks. Therefore, identification of relevant risks, and formulation and implementation of proper risk mitigation policies and strategies are important for the scheduled banks while performing e-banking. Trend of technology about banking is soothing for the customer, but there may have some risk associates with it, since information technology is often hacked by some notorious hacker. So, it is very much essential for the bank to adopt the right technology with optimum security system. Banks are required to ‘ restructure’ reinvent and reengineer and get the competitive edge due to the introduction of information technology being an important out put of ; information out put of information technology has ushered in an era which is transforming the entire functioning of banks . The flexibility of e-banking offers unprecedented opportunities for the bank to reach out to its customers. With the rapid expansion of the Internet facilities, e-banking is all set to play a very important role in the 21st century. Banks have to deal with the sophisticated clientele with the help of latest technology like e-banking. Lack of coordination and cyber crimes encroaching E banking if taken in the right way by banks and customers would take the economy to its best and make it a boon to customers. Modern electronic banking concept in the banking services is new for Bangladeshi people. Most of our bank has not any marketing or sales forces to execute the raw and cold business of electronic banking for their own organization. People are not also conscious about the advantages of the technology. Some multinational banks are already introduced their marketing activities over their targeted customers for specialized products like electronic products which is found very effective. The multinationals are coming up towards people with variety of highly technical products, which can solve the people’s problem and can able to modernize their lifestyle. The growth of electronic banking users increasing is a significant manner. However, last 10 years it has got tremendous importance over the bank customer and hopefully it will increase day by day after nurture the product by the professional bankers. From this study it is found that customers today especially in city area are much more dependent on Technology for avoiding hassle and saving time as a result e- banking , mobile banking, etc becoming more popular media for clientele satisfaction. In respect to technology adoption, the PCBs and FCBs have attained greater success relative to other bank categories but their coverage is concentrated mainly in urban and semi-urban areas. The rural parts of Bangladesh still remain outside of their services. Since the SCBs and SBs have branches throughout the country including the rural areas, penetration of technology in banking activities of these two categories of banks are crucial to wider spread of e banking services. For the purpose, the management of these banks might allocate a part of their yearly profit for ICT penetration in banking activities and human resources development supported by fixed targets. In addition, several steps may be contemplated in order to accelerate the adoption of e-banking. charge is another constraint in widening internet access to a greater number of people. Therefore rationalizing the charge could make the use of internet affordable to all. remove impediments to growth of e-commerce that relates e-banking as well. infrastructure and address relevant issues including governance and institutional strengthening. that have already expanded e-banking can act as useful guides. Take steps to orient bank officials on benefits of e-banking. For instance, BB may offer short courses (e.g. using the Bangladesh Bank Training Academy) on e-banking including analysis of costs and benefit from the perspectives of customers and the banks, present status, and opportunities and challenges. To avoid risks involved in e-banking, risk mitigation policies and strategies need to be adopted as a part of the package approach to implementing e-banking. Mobile banking is a prospective area for two reasons: it covers almost all activities involved in retail banking; and mobile phone network has already been spread all over the country covering more than 30 million people. Because of convenience, a sizeable share of the unbanked people can be brought under the network especially in rural areas with flourishing mobile banking. In this context, it is important to formulate relevant acts,policies, and adopt operative guidelines. review their business strategy and create the required space for adopting e-banking services in order to remain competitive and attract new customers. strengthen ICT department through providing training to IT personnel and procuring required hardware and software. create separate unit in each branch for rendering ICT related operational activities under the supervision of the ICT department. At present, Bangladesh is trailing behind in acquiring the required quality of banking services to effectively compete in the global market. Therefore, the banking system needs upgradation for which urgent measures are needed to create a level playing field for rapid expansion of ebanking in the country. Despite the constraints, more efficient use of existing capabilities in developing the services can pave the way to quality provision of e-banking in Bangladesh.